Visitors to the thought-provoking National Memorial Arboretum in Staffordshire have an added attraction to occupy their interest, particularly if the weather is on the inclement side outside. 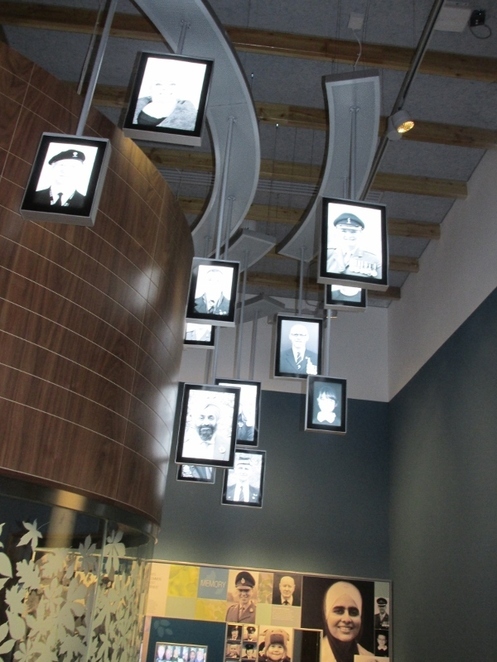 At the heart of the Arboretum's indoor Remembrance Centre is the permanent Landscapes of Life exhibition which uses a mixture of visual displays and interactive exhibits to demonstrate the importance of Remembrance. The Landscapes of Life exhibition was developed as part of a multi-million-pound project that saw the opening of the Remembrance Centre at the Arboretum in Alrewas, near Lichfield, towards the end of 2016. 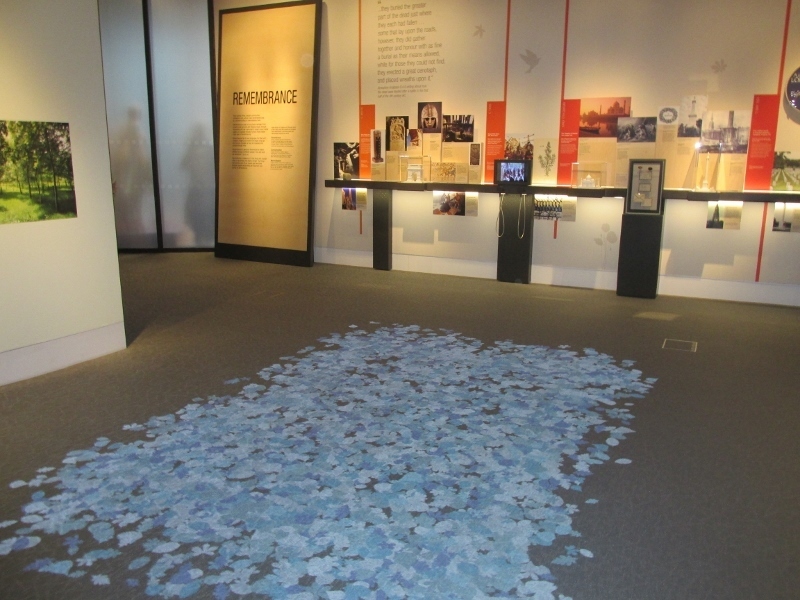 There are various themes running through the exhibition, including symbolism in Remembrance, reconciliation, learning from the past, the living, and people and trees. 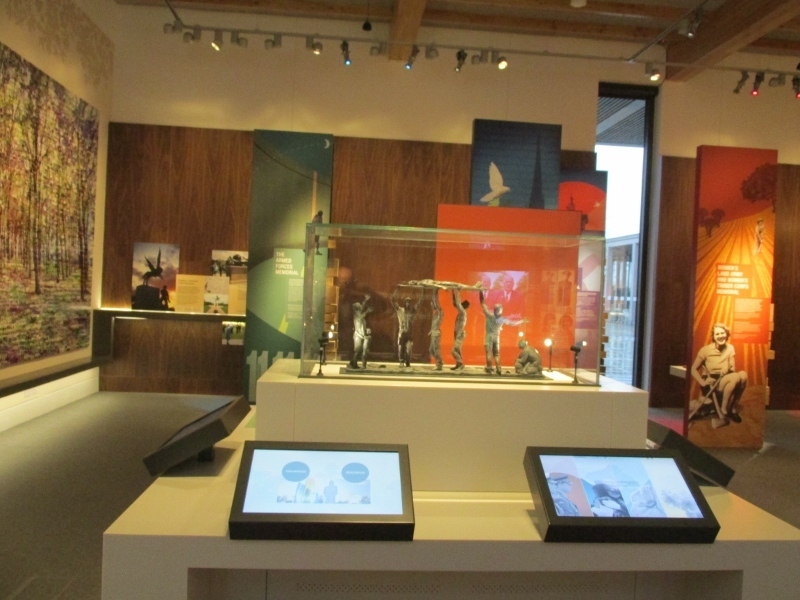 On first stepping into the exhibition, visitors will be met by a collection of interesting and moving stories displayed on a screen, ranging from a Falklands War widow to the young man who designed the 1914-18 Christmas Truce sculpture within the Arboretum grounds. Once inside the spacious exhibition, there is an amazing range of displays and exhibits to while away an hour or more which, all put together, provide a perfect introduction to the Arboretum itself and the rich collection of memorials and wildlife dotted around the 150-acre site. The development of the exhibition was led by John Hughes, Interpretation Curator at the NMA, who said there had been an aspiration to have some sort of permanent Remembrance exhibition at the Arboretum for some time. 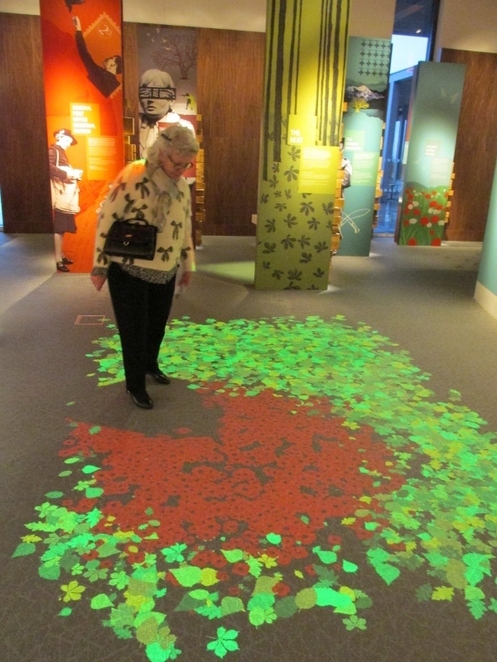 One of the first, and most impressive, displays you will come to in the exhibition is a digital collection of leaves on the ground which gently move aside as you walk through them, revealing a striking red poppy field beneath. Close by is a separate 270-degree multi-projector film drum with seating which enables people to experience a year in the life of the Arboretum, with a variety of people also revealing their stories. Further through the exhibition, visitors will be able to learn about some of the 150 or so memorials within the grounds, such as the moving Shot at Dawn memorial to soldiers executed during the First World War. 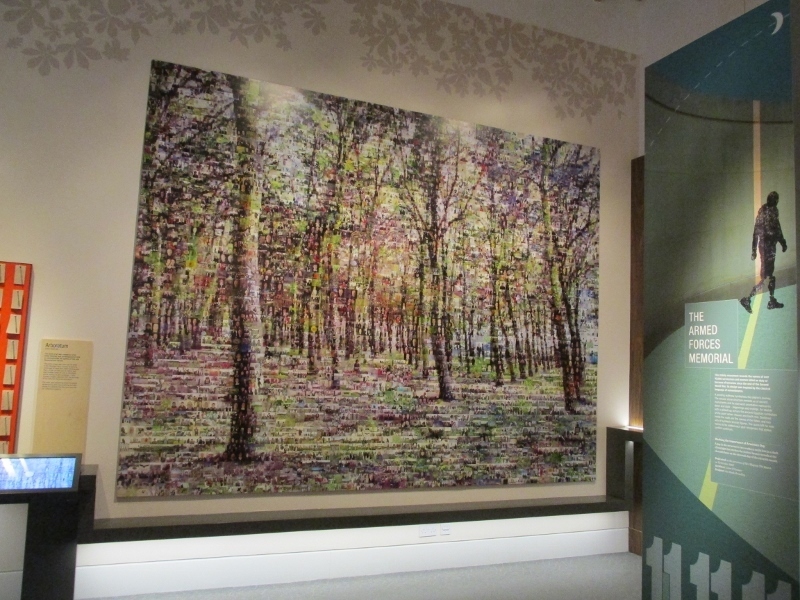 Another of the main features of the exhibition is a photographic mural called Arboretum which is made up of more than 5,000 images. Painstakingly put together, the huge number of photos are designed to represent the Merchant Navy Convoy Wood which forms part of the Arboretum grounds. The artist responsible for the striking piece of work, Helen Marshall, created the collage of photos in 2016 to commemorate the opening of the new Remembrance Centre. 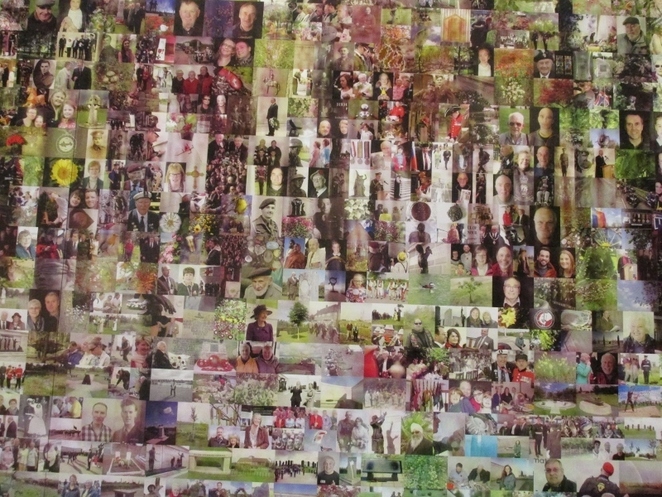 Many of the images that make up the collage are of actual visitors to the Arboretum and their families, which were taken within the NMA's grounds, or which were submitted online during a public campaign. The collage also includes images held from within the Arboretum's own archives. The exhibition concludes with a space entitled 'Personal Remembrance' which features an entire gallery wall dedicated to people's personal thoughts and comments about Remembrance. The exhibit is brought to life by portrait photographs which are suspended from the ceiling, interactive touch screens and lift-up flaps. There is also a memory booth where visitors are invited to record and upload their own stories through a dedicated video kiosk system. The Personal Remembrance display includes men and women who had served in the Armed Forces, or the family of those who had served. Among the contributors is Miranda Ingram whose great uncle, Tom Madelin, died at the Battle of Passchendaele in 1917 during the First World War. Entrance to the Landscapes of Life exhibition is £7.50 for adults, and £6 for children aged 6-16 years, concessions, and members of the Armed Forces. A family ticket for four people, comprising one or two adults, is £20. The ticket price includes use of an Arboretum audio guide which interprets 93 of the memorials onsite.